The Pratt Music Foundation was organized in the spring of 1997 in memory of Awadagin Pratt’s father, Dr. T.A.E.C. Pratt. Dr. Pratt, who died on October 30, 1996, was a nuclear physicist with a love for classical music. He shared that love with his children and was their first music teacher. The Foundation’s primary mission is the encouragement of musical development of children in the Bloomington-Normal area. The Foundation identifies children who have the ability to excel in music, but who have not had the opportunity to pursue that talent. It awards Pratt Music Scholarships based on talent and financial need. These scholarships provide tuition for an academic year of instruction in piano or strings at the Illinois Wesleyan University Music Preparatory Program, conducted on the campus of Illinois Wesleyan University in Bloomington. 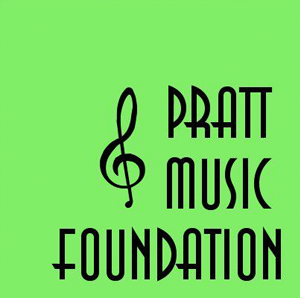 For more information about the Pratt Music Foundation and to find out how you can contribute, please visit our Web site at http://prattmusicfoundation.com/.